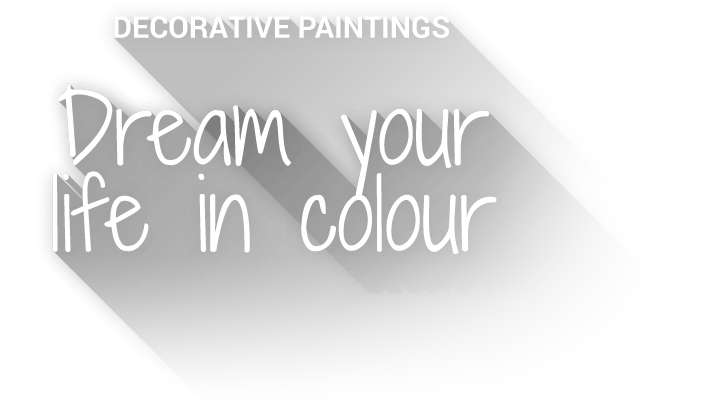 Design creations, artworks made of painted or lacquered wood. The geometry and the colors are at the heart of our wooden artworks. Our story began with a beautiful encounter. Two artists, two sets of skills and two cultures. Our passion for painting, art and the thrill for colours, open spaces and shapes, gave birth to the creation of our decorative pieces. What is more important: the colour or the form? Everyone has their own opinion. We believe that both are inseparable, and as such, in our creations they are interconnected and harmonized throughout. At first, an idea, a thought, an imagination becomes embodied in a drawing. The creative work on the concordance, the harmony of colors and shapes. The wood is hand-crafted according to our drawings, and then each piece is painted with the predefined color. Finally, we join and fix all the elements together to finish our creation. Each painting is unique, named and signed. We create custom made paintings respecting the spaces, colors and the atmosphere of the place.